Driving in the United Kingdom is a relatively simple process thanks to the fluent flow of the new gov.uk website. Before the change, motorists had to go through hoops and hurdles to make application after application. Now, the whole process has been streamlined into one government portal. Still though, the same rules, regulations and laws apply as they did before. Before you can legally drive in the United Kingdom, you have to do several things and pass two tests. Once the tests are passed, you still aren't allowed to drive on the road unless you meet the criteria set by the government. This includes getting insurance on your vehicle, having a tax disc and having a valid MOT certificate. If any of these are missing, you will be driving illegally and can ultimately face imprisonment. As such, it's crucial that you start your driving with a clear head and go through the whole process step-by-step. There's no need to rush. In order to begin taking your driving lessons and getting started with your tests, you must first apply for a provisional driving license. Additionally, you must be over the legal driving age (17) and not have any major eye-related problems. Before you can begin driving on the roads of the UK, you must pass your theory test and practical test. Usually, while you are preparing for both of these tests, you will be undergoing driving tuition under the supervision of a valid and accredited driving instructor. Typically, the DSA recommend that all learners take between 40 and 50 hours of driving tuition before taking their practical test. The whole process is fairly straight forward. You must first pass your theory test and hazard perception test before you can take your official practical test. However, you can't take your practical test unless your driving instructor feels you're ready. 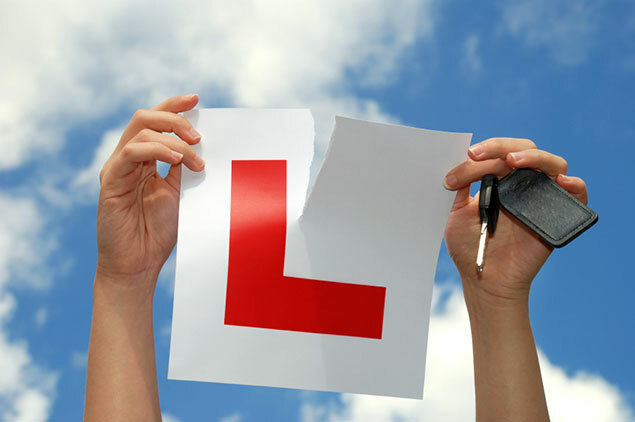 The best way to get started with this process is to begin your driving lessons and revise for your theory test while taking your lessons. Once you have taken 20 hours of tuition, book your theory test. If you pass, you can book your practical test and undergo the final 20 - 30 hours of tuition needed to make you a�competent�driver. Once you have taken your driving lessons and passed your practical test, you are now legally entitled to drive on the roads of the UK provided that you meet a few conditions. Firstly, you must register your new vehicle with the DVLA and inform that you have purchased a car. This is usually done through a simple form which needs to be sent to the DVLA. From there, you will need to make sure that your vehicle displays a valid vehicle tax certificate and has a current MOT certificate. The tax certificate can be purchased from the post office, and a car MOT can be carried out from any accredited car garage. Once your car has tax and an MOT certificate, you must finally ensure that your vehicle is insured. The minimum level of insurance that you must have is known as third-party insurance. This covers you using the vehicle completely. Once these three conditions have been met, you are legally allowed to drive on the road. You must inform the DVLA of any changes that have been made to either your circumstances or your car. For example, if you sell your car and buy a new one - then inform the DVLA. Our Tip: Want to become a better driver and bring down your insurance premium? Investigate a Pass Plus driving course which will more than likely be offered by the instructor you passed your test with.